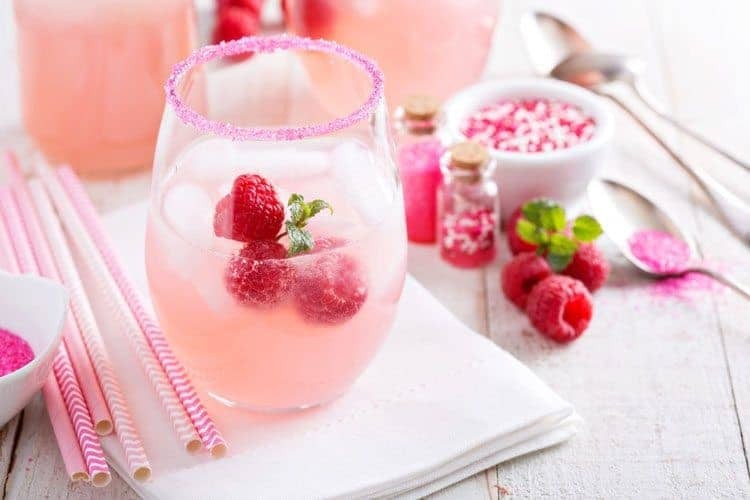 You’ll love this Raspberry Kiddie Cocktail. Do you have a kid’s party planned? 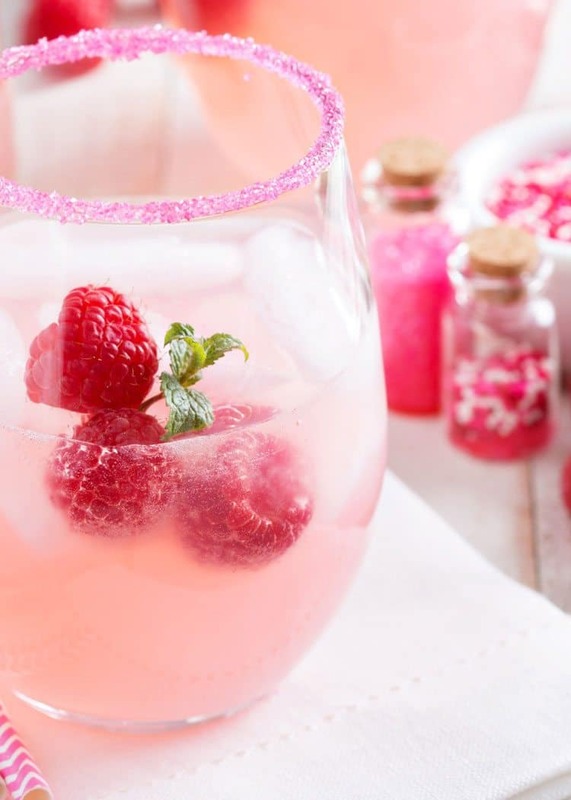 This yummy Raspberry Kiddie Cocktail is the perfect addition to your party menu. 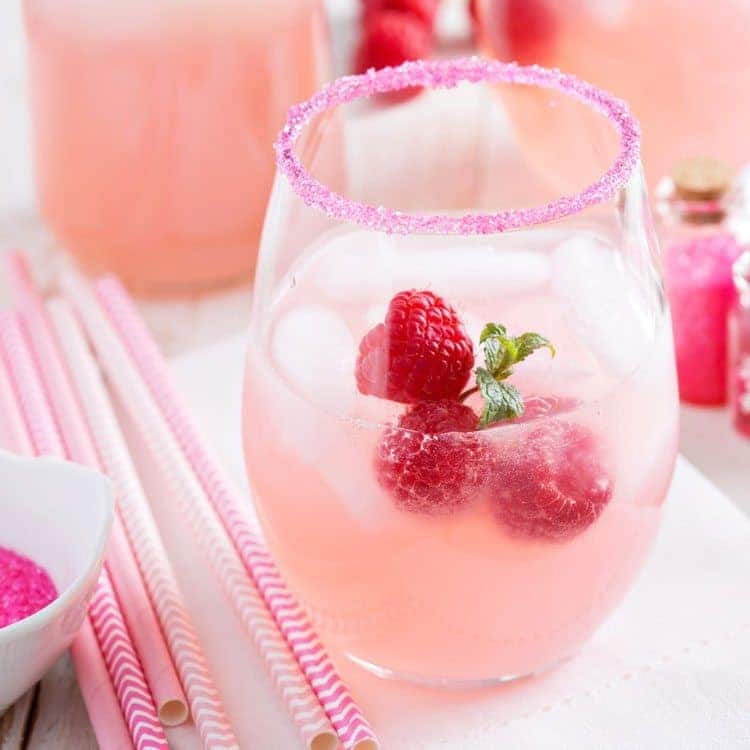 Add in some fun candy coating to rim the glasses and you’ve got a party drink fit for a princess! We love looking at all the fun decorating ideas for children’s parties. There are so many amazing party ideas and fun decorating themes. The number of products available for party fun has sky-rocketed in recent years, making party planning even easier. Add in some lemonade cupcakes, fruit kabobs and some chips with black bean salsa and you’ve got the perfect light and simple party menu. Kiddie cocktails are fun to serve at parties because they give an extra special flare without a ton of work or expense. Making a signature kiddie cocktail shows your child’s guests that you are making the day extra special. They’ll LOVE the attention to detail and all the effort you’ve put into making the day so special. Enjoy a simple party plan that looks every bit as glamorous as if you had spent hours and hours on it. All you have to do is put a little bit of decorative flare into it, add some yummy food, and spice it all up with that signature kiddie cocktail recipe. Voila–time to get the party started! Place the raspberry drink mix powder into a small pitcher. Pour the cranberry juice and water into the pitcher and whisk until the powder is completely dissolved and the ingredients are combined well. Place the pitcher in the refrigerator at least 1 hour. Just before serving stir in the sparkling water. Place frozen raspberries in the bottom of 2 champagne glasses. Pour over the top of the raspberries.